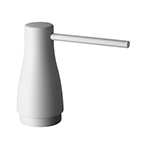 KWC mounted soap dispenser pumps come in a range of styles to fit your design needs. 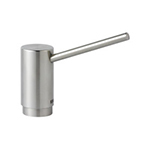 With finishes in chrome, white, black and stainless steel, there’s an option for you. 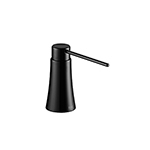 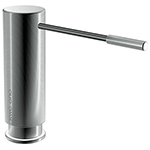 KWC in-home countertop soap dispensers can add elegance and functionality to your space. 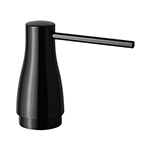 With design options that are both modern and sleek or simple and classic, you’re sure to find the perfect soap dispenser. 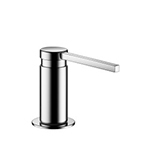 KWC built-in soap dispensers can help reduce countertop clutter from bottles and trays for soap. 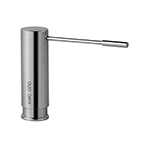 KWC soap dispenser replacement parts can help ensure that your soap dispenser remains functional over time after consistent use and wear and tear. 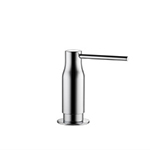 With KWC stainless steel sink soap dispenser options, you can store up to 15 oz of soap, and they are easily refillable without disassembly. 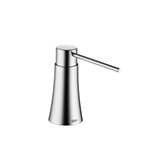 Find the perfect KWC in-home countertop soap dispenser for your space today!